Regular users told us the most significant thing of swimming will be to control your breathing. To get this, our head need to be aligned with our spine all the time. Swimming is actually a sport for all ages. It helps young men and women to tone their muscles and grow healthy and strong. We at present have the following Indoor Pools in Derbyshire, but we are normally grateful for any corrections or contributions. Get in touch via our contact type. Not all countries would be the identical, and swimming regulations and rules are changing from one country to yet another. These are the Pools other users have reported. Are you a local and your pool just isn't listed? Contact us to ADD IT. It's free! Are you a standard swimmer? 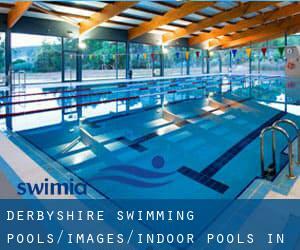 Do you visit the same Indoor Pools in Derbyshire? Please check that all of the details for your aquatic center are right and contact us for those who find any mistake. It's difficult to visit Derbyshire without having dropping by High Peak (with 92.600 residents). At present Swimia is showing you all the Swimming Pool in High Peak and the closest pools situated in its vicinity. Swimming is actually a great idea to keep your body active in the course of your visit to Chesterfield (Derbyshire), or perhaps if you are a local. 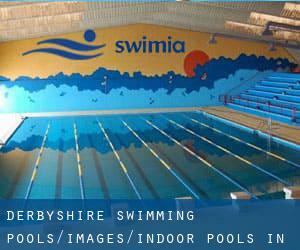 Swimia helps you to discover your closest Pool in Chesterfield. Holding an estimated population of 47.898, Long Eaton is one of the most important cities in Derbyshire. Check all the Swimming Pool in Long Eaton and its surrounding region. Let us tell you a secret to switch off although you happen to be in Glossop: just choose a Swimming Pool in Glossop and plunge into the water! There's no additional successful system. Whereas Ilkeston is among the six most populous cities in Derbyshire with almost 38.587 residents, you shouldn't miss that one if you're going to Derbyshire. Without a shadow of a doubt, swimming in Swadlincote could be the greatest technique to unwind soon after function. Take a couple of minutes to browse Swimia's catalog to find a Pool in Swadlincote. Updated on 2019 John Port School , Hilton Road , Etwall , England , UNITED KINGDOM (Postal Code: DE65 6HZ). This sports center gives 25 meters x 12.5 meters, 6 lanes, 0.9 meters - 2 meters depth, 0.9 meters - 2 meters depth, Indoors. For this Pool, only phone number is number here. Updated on 2019 Civic Centre , Dronfield , England , UNITED KINGDOM (Postal Code: S18 1PD). Swimmers like you reported 25 meters x 8.5 meters, 1 meters - 2 meters depth, 1 meters - 2 meters depth, Indoors. Unfortunately we do not have the email address of this Pool, but we can give you the phone number. Updated on 2019 Civic Way , Swadlincote , England , UNITED KINGDOM (Postal Code: DE11 0AH). This sports center offers 25 meters x 10 meters, 5 lanes, 0.9 meters - 1.9 meters depth, 0.9 meters - 1.9 meters depth, Indoors. For this Swimming Pool, only phone number is number here. Updated on 2019 Wilsthorpe Road , Long Eaton , England , UNITED KINGDOM (Postal Code: NG10 4AA). Swimmers like you reported 25 meters x 18.24 meters, 6 lanes, 0.9 meters - 1.6 meters depth, 0.9 meters - 1.6 meters depth, Indoors. Phone number and e mail address are number for this Swimming Pool. Updated on 2019 Derby Road , Ripley , England , UNITED KINGDOM (Postal Code: DE5 3HR). Among all the activities supplied by the center, should you be interested in swimming you might appreciate 25 meters, 5 lanes, Indoors. Just in case you need to make contact with this Swimming Pool just before dropping by, we only know the phone number. Updated on 2019 Hyde Bank Road , New Mills , England , UNITED KINGDOM (Postal Code: SK22 4BP). This sports center offers 25 meters x 10 meters, 4 lanes, 0.5 meters - 2 meters depth, 0.5 meters - 2 meters depth, Indoors. Contact info for this Pool including phone number and email address are number. Updated on 2019 Manners Road , Ilkeston , England , UNITED KINGDOM (Postal Code: DE7 8AT). This sports center delivers 25 meters x 12.5 meters, 0.9 meters - 2.0 meters depth, 0.9 meters - 2.0 meters depth, Indoors. Contact data for this Swimming Pool such as phone number and e-mail address are number. Updated on 2019 Hands Road , Heanor , England , UNITED KINGDOM (Postal Code: DE75 7HA). This sports center delivers 25 meters x 12.5 meters, 5 lanes, 0.9 meters - 2 meters depth, 0.9 meters - 2 meters depth, Indoors. For this Swimming Pool, only phone number is number here. Updated on 2019 St. John´s Road , Buxton , England , UNITED KINGDOM (Postal Code: SK17 6BA). Among all the activities supplied by the center, in case you are enthusiastic about swimming you will delight in 25 meters x 12.5 meters, 6 lanes, 1 meters - 3 meters depth, 1 meters - 3 meters depth, Indoors. If you will need to make contact with this Swimming Pool, email address and phone number are both number. Old Road , Chesterfield , England , UNITED KINGDOM (Postal Code: S40 1HX). Among all of the activities supplied by the center, for anyone who is enthusiastic about swimming you can enjoy 19 meters x 12 meters, Indoors. Just in case you want to contact this Pool before dropping by, we only know the phone number. Bakewell Road , Matlock , England , UNITED KINGDOM. Swimmers like you reported 25 meters, 8 lanes, Indoors. Phone number and e mail address are number for this Swimming Pool. Updated on 2019 Howard Park , Dinting Road , Glossop , England , UNITED KINGDOM (Postal Code: SK13 7DS). Among all the activities offered by the center, for anyone who is thinking about swimming you might take pleasure in 25 meters x 10 meters, 4 lanes, Indoors. If it is advisable to make contact with this Swimming Pool, email address and phone number are both number. Manchester Road , Castleton , England , UNITED KINGDOM (Postal Code: OL11 3AF). This sports center offers 25 yards, 4 lanes, Indoors. For this Swimming Pool, only phone number is number here. Updated on 2019 Market Street , Clay Cross , England , UNITED KINGDOM (Postal Code: S45 9LX). This sports center gives 25 meters x 12.5 meters, 6 lanes, Indoors. For this Pool, only phone number is number here.